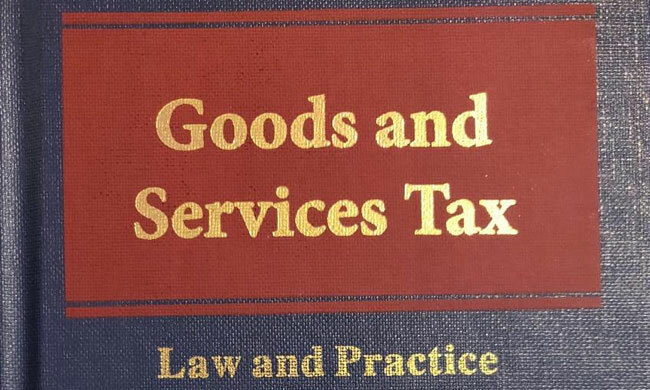 Book Review – Goods and Services Tax – Law and Practice by Milind Kumar, AOR; Eastern Book CompanyThe Goods and Services Tax (GST) and its implementation is a landmark moment in the history of indirect taxation regime in India. By absorbing around 17 Central and State taxes within its sweep, the GST gave a systematic & unified tax which is completely technology driven. While at first there were a lot of problems faced by business operators as well as professionals like Chartered Accountants and Advocates in understanding GST, gradually a lot got sorted. The literature on GST however remained deficient. Milind Kumar, an Advocate on Record at the Supreme Court of India has authored a detailed book on GST submitting both law as well as the procedure relating to GST which largely fills the vacuum created due to lack of material on GST. Published by Eastern Book Company (EBC), the book runs to 423 pages divided into 15 Chapters. The book starts with a roadmap on the GST Timeline before it breaks into the Pre GST scenario and Post GST scenario. It thereafter gives a detailed account of the Constitution (101st Amendment) Act, 2016 by which GST was introduced as the legislative intent behind inserting such a tax is extremely important. Going into a section wise detail of the Act, the book also shares information on the GST Council, GST around the world, GSTN, Directorate General of Goods and Service Tax Intelligence (DGGSTI), GST Suvidha Providers (GSPs) as well. It also carries dedicated chapters on the Central Goods and Services Tax Act, Integrated Goods and Services Tax Act, Union Territory Goods and Services Tax Act and Goods and Services Tax (Compensation to States) Act, 2017 as well. Overall, the book is a must keep and the one stop book for students, professionals and academicians on the subject of GST.